The just ended fourteenth Vodafone Ghana Music Awards, took place at the conference center on the Saturday, 18th May 2013.The show which was scheduled to start around 8:00pm, started around 9:10 on the red carpet with the life the breakfast show presenter on live 91.9fm, Benny Blancoand C.E.O of aphrodisiac night club, Confidence, as the Red carpet presenters. The Red carpet, like any other for a musical event, had lots celebrities and fans interviews, enquiries about their expectations for the night, the people they came to support and what they are wearing. The event night was no exception to red carpet drama, as there were a lot of answers to questions asked by Benny Blanco and Confidence, and a lot of designers outfits popping up, with the famous Miche bellino from Mzbel also making an appearance. Most celebrities such as Mzbel, Nana Ama Mc brown , Nana Adjoa Awindor and many more who were missing from the media scene for quite some time now made their comeback media appearance on the red carpet. Kofi Okyere Darko and Mildred Ashong, better known by their stage names as KOD and Eazzy, did a marvelous job as M.C's for the night with the help of the multiple award winning disc jockey, DJ black of Joy fm on the turn table. Performances for the night were amazing. Starting with the Jazz icon, Steve Badi and Efya, who won the best female vocalist for the night, opening the show. There were also performances from, Herty Bongreat, 4X4, Asem and Kwabena Kwabena, VIP, Banky W,Wiz kid, Keche, Criss Waddle, EL, and a blast from the past,from from Akatakyie and Kontihene. The Awards, which was the main reason for the event, was given to the various category winners. Even though people had had mix reactions in terms of the artist they thought deserve Awards, one could say the event was an improvement to last year's and the best so far. 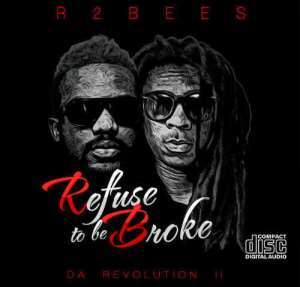 The Tema-base duo R2bees won six awards making them the highest award winner for the night. They were follow by Kaakie, M.anifest and Herty Borngreat who took home two each.